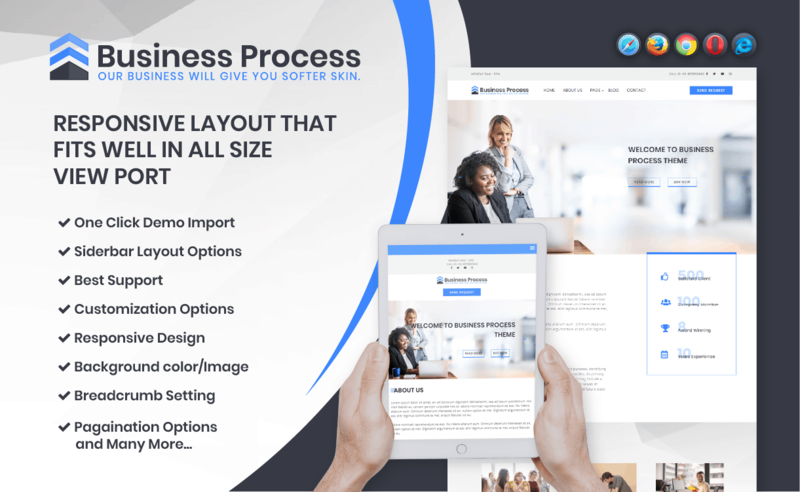 Introducing Business Process Lite: A Magnificient Free WordPress Business Theme! When it comes to standard and modernizing, nothing says it more than an advanced website to represent you and your business. Think about it yourself, with the development of modern devices; people rather opt for online solutions than personally visit place to place. And if you need further proof, look around yourself; each and every huge or small-scale business now owns a website to stay connected with their users. While most opt for a corporate based websites, you can even start a blog to promote your business or open an online platform to sell your merchandise. Whatever the case, it is of utmost importance that you start an efficient and functional corporate or business website for your business if you want to stay on the top. Business Process Lite is an amazing WordPress theme that includes robust features and immeasurable professionalism. So if you are looking for something to start without the help of any professionals and experts, then this theme is the solution. It is simply stunning, to say the least with tons of built-in features and options. Additionally, the flexible and adjustable framework is the epitome of a successful website. Simply put, whether you own a start-up company or something of a large-scale business, Business Process is a perfect choice. But while we may recommend this theme, there are plenty of fish in the sea. So what exactly does Business Process Lite offer to stand out from the rest? 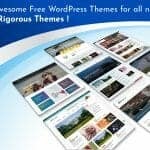 Let’s take a look at a list of amazing features that this free WordPress business theme offers. When it comes to a website one of the most noticeable and the major factor is surely the layout structure. With Business Process Lite you get an interface that is clean, professional and standard by all means. What’s great is that it is designed to be fully responsive which means that it automatically adjusts to every device screen size. So it does not really matter what kind of device your users use as your site will look amazing no matter what. Adding to this, it features exclusive retina ready or HD imagery that makes it more impressive. Certainly one of a kind in its own unique way, leave a lasting impression on anyone who visits only with Business Process Lite. Unlike most other themes, Business Process Lite has kept in mind the time and effort you need to start a website. So it comes with an option to download and install the demo files within a matter of minutes This way, you can start with a demo website and edit and modify the elements according to your requirements with ease. No need to rely on expert’s help anymore as you can easily end up with your very own customized and unique website with ease. Like we have mentioned before, Business Process Lite offers a range of customization features that allow the user to create a unique look and feel for their website. You can choose the colour schemes, fonts, and modify tons of other elements as well. Get the perfect platform for you to represent you and your business! 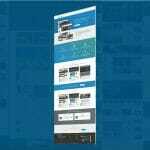 Another amazing thing about this theme is that you also get With Business Process Lite get a variation of Page templates that you can easily integrate onto the site. Get a ready-to-use page for About Us, Blogs and Portfolios at your disposal. Mobile menu for easier navigation. Social Icons available for easier integration. About Us Page template included.